Stephen began guiding with Aspen Alpine Guides in 2008 after moving from Switzerland where he spent the previous seven years training and working. In the summer, Stephen guides the regional 14,000 ft peaks, day hikes, rock climbs, as well as altitude training. In the winter, he is a backcountry ski guide, snowshoe guide and ski instructor for the Aspen Skiing Company. Stephen is a Member of Mountain Rescue Aspen (MRA), an Individual Member and Single Pitch Instructor with the American Mountain Guide Association (AMGA) and an Alpine Level I Instructor with the Professional Ski Instructors of America (PSIA). He holds certifications as an Emergency Med Tech (EMT) and a Wilderness First Responder (WFR) and has completed the AIARE Level II course and is a Level I Instructor with the American Institute of Avalanche Research and Education (AIARE). Additionally he serves as a boardmember of the non-profit WeCycle, an Aspen bike share program, and more recently is a trustee on the Colorado Mountain Club State Advisory Board. Philip grew up spending a great deal of time outdoors with his family, and has continued to do so as much as possible both professionally and recreationally ever since. He has lead and managed youth conservation programs, worked as a rock-climbing guide, coordinated international research expeditions and has spent the last 6 years working as a director for outdoor focused non-profits. Philip has completed the AMGA Rock Instructor and SPI courses, and was an EMT for over 20 years. Like most people involved with the Aspen Alpine Guides, Philip spends as much of his time as possible in the outdoors, be it on foot, attached to a rope, sliding on snow or some combination all of the above. Josh is an East Coast transplant from the Gunks of New York. 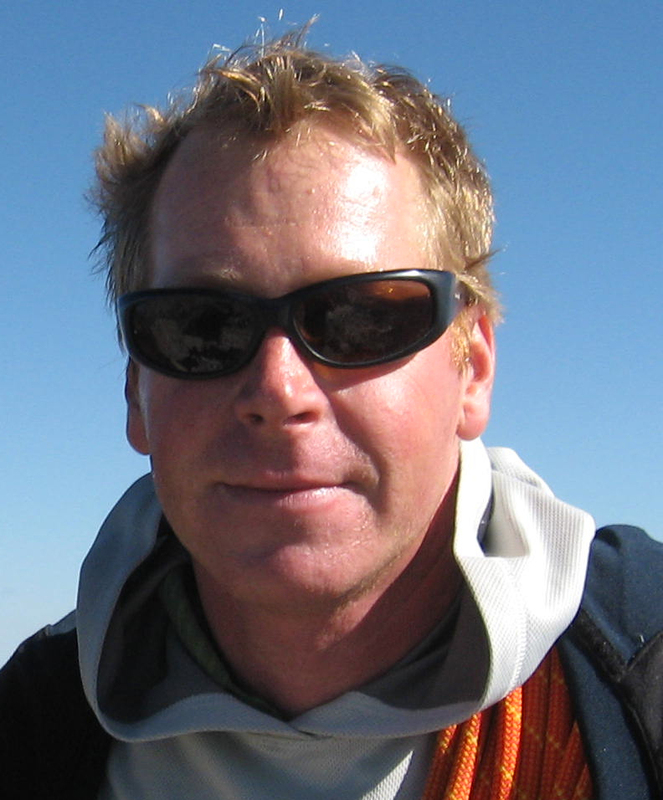 He has been working in the outdoor industry since 1996. Josh is an AMGA Certified Rock Guide and holds a BA in Outdoor Leadership and Recreation Site Management from Prescott College. In addition to guiding, for years, Josh was employed as a climbing ranger at Rocky Mountain National Park where he performed search and rescue. Josh has done rigging as a high-angle grip for filming productions such as the Amazing Race and X-Games. Josh is also an entrepreneur, having owned an interest in two guide services -- Adventure Concepts and Aspen Alpine Guides. Josh has achieved more than 400 trad and sport first ascents, including adventure routes in the Black Canyon, first summits of desert towers, and beginner-oriented crags at Independence Pass, CO, Lower Sullivan’s Canyon, AZ and Moab, UT. Josh is a well-traveled climber. He completed several successful expeditions to the Cirque of Unclimbables, Patagonia, Mexico and Alaska. He has also roped up in Thailand, Turkey, Greece, Italy, Croatia, Slovenia and Spain. As a CAMP USA athlete, Josh has enjoyed leading clinics and testing products since 2007. While a dedicated climber, Josh also enjoys guiding skiing, especially multi-day hut trips. Josh has an intimate knowledge of the 10th Mountain Division Huts Association’s system, having worked as a hut keeper. Fortunate to have discovered climbing in his youth, Josh now donates time to the climbing community. He re-bolts climbs with support from the American Safe Climbing Association and served on the board of the Friends of Indian Creek. Joda cut his teeth in the outdoor world while learning to climb the steep walls of The Gunks in NY. After completing his B.A. in English and Leadership, he spent 3 seasons climbing and teaching mountain safety in the Ladakh Range of Northern India. He has guided in India, Japan, Alaska, Washington, and throughout the Western U.S. 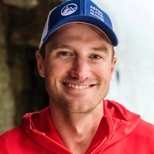 He is a Wilderness First Responder, Leave No Trace Educator, holds an AIARE level II certification, and has completed AMGA course work in the following: Rock Guide, Ice Instructor, Ski Guide, Alpine Guide and Advanced Rock Guide. Curt's rock climbing career began in the Midwest almost 20 years ago, where he grew up climbing the Quartzite rock cliffs of Devils Lake, Wisconsin. His passion for the mountains led him to Colorado where he enjoys sharing his knowledge of climbing and the outdoors with others. He is a current AMGA member with a SPI certification. Raised in Colorado, Sarah has been exploring the wilderness in different ways her whole life. Through rock climbing, backpacking, backcountry snowboarding and skiing and mountaineering, she’s learned that being challenged and sometimes uncomfortable inspires the most personal growth. She loves to share the teachings that the mountains have shared with her, and after a lifetime of exploration she has yet to find a better classroom than our backyard here in Colorado. Since 2008, she has been climbing, teaching and guiding various wilderness sports and subjects. Her certifications and courses include: AMGA Apprentice Rock Guide, AMGA Single Pitch Instructor, Wilderness First Responder, Avalanche Level One, and 400+ hours of Yoga Teacher certifications and trainings. Nathan grew up in Washington State where the volcanoes of the Cascade Range were his playground and mentor. Settling in Colorado in 2000, Nathan has adopted the Elk Mountains as his new home and office. He has had many successful expeditions spanning the globe in such locations as the Tien Shan of Kyrgyzstan, Patagonia, the Andes, the Aleutian Islands, the Tordrillos, the Chugach, and the Southern Alps of New Zealand. Nathan is a member of Mountain Rescue Aspen (MRA), an Emergency Medical Technician (EMT), Remote Emergency Medical Technician (REMT), Medical Care Person in Charge (MCPIC), and has completed the AIARE Level II avalanche course. Mike is a dedicated climber with more than 250 first ascents to his name. When he isn't teaching students at Glenwood High School, he instructs rock and ice climbing, canyoneering, mountaineering, and climbing self rescue courses at Colorado Mountain College, in addition to wilderness medicine courses with Desert Mountain Medicine. He has been a certified AMGA Rock Guide since 2003, and has completed the AMGA Rock Guide Course, Alpine Guide Course and Ice Instructor Course. Mike is also AIARE Level I & II certified and is a Leave No Trace Master Educator. Jordan grew up playing in the mountains right here in Colorado. He got his first start climbing mountains at age five when he summited his first fourtneener. Since then he has put his time in learning the tricks and trades of the outdoor world. In summer, Jordan spends his as much time as possible in the high alpine with either his rock shoes or hiking boots on. In winter, it is hard to find a day when his feet aren't crammed into ski boots for some adventure or another. In 2009 Jordan became the youngest and the 5th person to ski from the summit of all 54 of Colorado's 14,000 foot peaks. Jordan also guides for Ski Arpa, catskiing down in Chile and is a member of Mountain Rescue Aspen. Dan grew up in the perpetual 70-degree sunshine of Southern California and learned to ski in the Sierra Nevadas. While at UC Berkeley he found climbing and backcountry skiing and promptly moved to Salt Lake City to pursue a Master’s degree while being close to the mountains. His enthusiasm for introducing newcomers to the outdoors, progressing his own abilities, and exploring new landscapes made guiding a natural path. He has tested his boldness on rock in the legendary and runout climbing in the U.K.’s Peak District and explored the reaches of his endurance on multiple ultra-marathons such as the Wasatch Front 100 Mile. Dan is an AMGA Single Pitch Instructor, is Wilderness First Aid and CPR certified, has completed the AIARE Recreational Avalanche Safety Track, and holds a Master of Science in Environmental Humanities. He volunteers with conservation and stewardship organizations such as the Access Fund, Cottonwood Canyon Foundation, and the Roaring Fork Outdoor Volunteers for trail work and outreach. Riley grew up in Minnesota where he spent a lot of time in the Boundary Waters and skiing the small hills Minnesota has to offer. He moved to Colorado in 2009 and quickly fell in love with the Rocky Mountains. He has been on expeditions in mountain ranges all over the world including the Alaska range and the Andes. In addition to working as a guide, Riley is also a current member of Mountain Rescue Aspen (MRA) and has completed the AMGA alpine skills course and AIARE level II avalanche course. Originally from Iowa but raised in Boulder, skiing and hiking in the Colorado mountains since age 5, Andrea has fostered a life-long passion for the Wilderness and alpine adventuring. Andrea is going on her 9th season ski patrolling at Aspen Highlands and is AIARE Level 2 and Outdoor Emergency Care certified. In addition to many Colorado mountain adventures, she has climbed both the north and south summits of Denali while working as a rescue tech with the NPS. While she excels at skiing she also pursues other mountain adventures including rock and ice climbing and mountain biking. In spite of being relatively new to mountain biking, last season she solo through-biked the Colorado Trail. Andrea holds and M.S. in Entomology and consecutively works as a conservation biologist. Thus she enjoys sharing outdoor pursuits with others who also delight in all that the wilderness alpine adventures have to offer. Reared in the mountains of Colorado, Jamie works year-round in the outdoors in an attempt to quench his insatiable desire to share his love of the wilderness with others. It is said that Jamie removed two boards from his crib in the night and fastened them to his feet with unused diapers and began skiing before he could walk, and that his first words were “shred the gnar.” Around the ripe young age of 11, Jamie was introduced to the second raddest sport, rock climbing, which has sent him on countless escapades all over the North American continent, from Canada to Mexico, in search of the most stellar routes and rocks to stand on top of; some of which, he will tell you, are located right in his back-yard on Independence Pass. His certifications include AMGA SPI, Wilderness First Responder, AIARE Avalanche Level 1, PSIA Level 1, and RYT 200 Hour Yoga Certification. Evan fell in love with the mountains as a child in North Carolina. While attending high school in Vermont, he discovered snowboarding. Then quickly moved west to Colorado and earned his first degree in Outdoor Leadership from Colorado Mountain College, logging many days in the mountains in the process. He has worked over a thousand days in the field and has climbed and snowboarded peaks in the Andes, Asia, Europe, New Zealand, Canada and Alaska, including Denali. Evan is always excited to be playing outdoors and truly strives to provide guests with their best adventure ever. Evan is an AMGA single pitch climbing instructor as well as a ski guide aspirant and a certified AIARE course instructor. Evan also coaches the High School Mountain Bike team in Moab UT. He spent time as an EMT in Moab, is part of Grand County’s Search and Rescue Winter Rescue Team. Buzz was born and raised in Georgia, but moved to Aspen over 40 years ago. He has done many things through the years, and travelled many places in the world like skiing the Haute Route from Chamonix, France to Zermatt, Switzerland, multi-day sea kayaking trips along the East coast of Greenland, the Southeast waters of Alaska, the Sea of Cortez, and the Caribbean waters off the coast of Belize. Buzz loves the backcountry of Colorado, and has summited all of the peaks above 14,000 feet, and many of the 13,000 foot ones as well. He recently participated in a multi day cycling trip along the islands of the Dalmatian coast of Croatia. And last, but not least, Buzz was a participant in a small expedition, (7 participants, 2 crew members, and a guide) to Antarctica, where we sailed, skied, and sea kayaked in that amazing continent. Buzz has First Responder and CPR certifications, and volunteers as a member of the local SAR group Mountain Rescue Aspen while working one day a week as a Pharmacist at Carl’s Pharmacy.